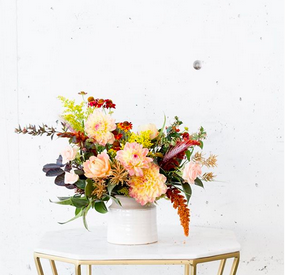 Finally a guaranteed gorgeous bouquet shipped to all of the lower 48 states. Christina Stembel CEO of Farmgirl offers socially conscious, consistently beautiful arrangements online. Here are some of their recent arrangements, starting at $48. For more gorgeous flowers and to order visit Farmgirl.